Tea Collection's Fresh Finland Has Arrived! 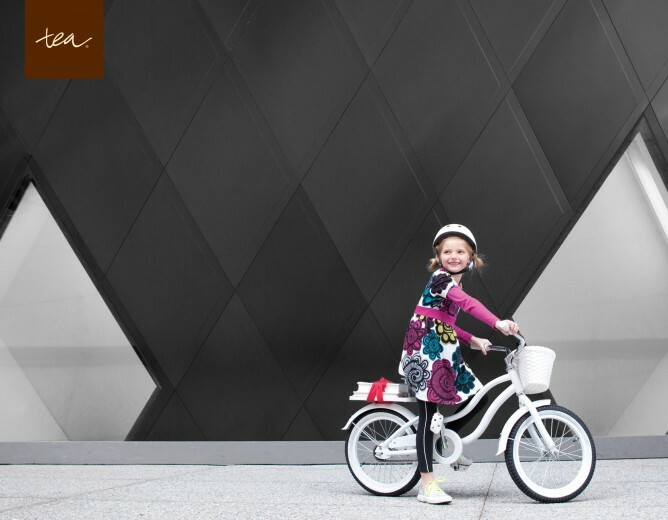 Hop on your bikes, boys and girls – it’s time to leave Denmark behind and continue on our journey through the land of Nordic Design. Welcome to Finland – Fresh Finland, that is! We’ll be riding this second wave of Tea’s Fall / Winter Collection right into the back-to-school season, and let us just say: we’re pretty envious of all the little academics who will be suiting up in Fresh Finland looks for their first day of school! (And don’t worry, Tea even snuck a few uniform-friendly pieces into the collection.) The designers found inspiration in Helsinki for this collection, and the city’s young energy shows up in the bright, bold colors and geometric, mod shapes that tie Fresh Finland together, and make it (in our opinion) the most fantastic collection to date. Tea has outdone itself with boys’ graphics this time around. 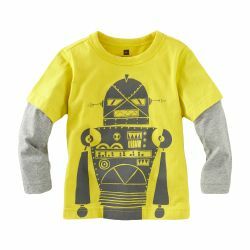 The Bjorn-bot Layered Tee, which pays homage to the large, geometric shapes the designers saw in Helsinki, takes robots to a whole new level of 21st century cool; plus, bright yellow for the boys? Absolutely! 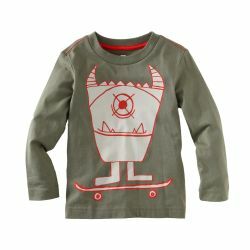 The Carlclops Tee, with its skateboarding cyclops, is sure to be a winner, too: a little grown up but still plenty whimsical, just like your boy. 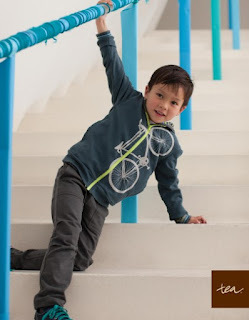 Tea has also cooked up a great batch of hoodies for all your layering needs (San Francisco, we’re talking to you! 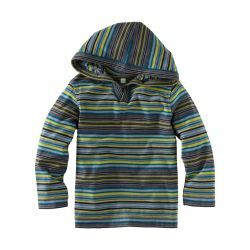 ); slip the lightweight Peli Stripe Hoodie under a t-shirt for some extra fashion and warmth, or bundle them up in the Cykel Hoodie, with its sideways bike graphic and neon zipper. 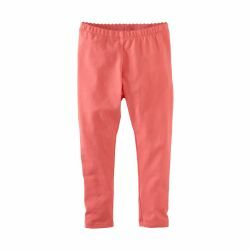 Looking to restock his favorite, outgrown play pants? We’ve got them back, with some new colors and tweaks (but the same comfort and good fit as always). Have a girl to outfit? Take your pick from a kaleidoscope of fresh, new dresses. 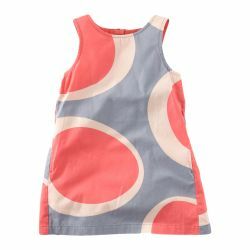 We love the fun, bold circles that pattern the Adorable Dots Shift Dress (above) and the Aurora Tank Dress (which is made from a stiffer cotton and sports a very fashionable exposed zipper down the back). 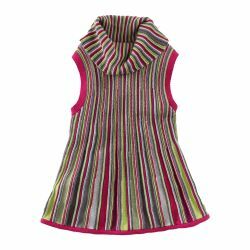 The Aalto Stripe Sweater Tunic, with its vertical stripes and generous cowl neck, is something brand new from Tea: we think it will be a hit among girls who like to be super cozy AND a little dressed up! 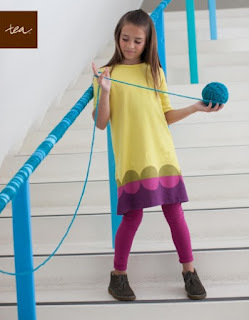 As always, Tea supplies all the layering ingredients that make dresses and tunics possible all season long: leggings and long-sleeved tees in a fresh new palette of colors, bootcut pants and skinny cargoes, and the best girls’ Hoodie we’ve seen from Tea yet! 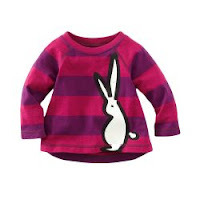 One last thing – wait until you see the baby collection! 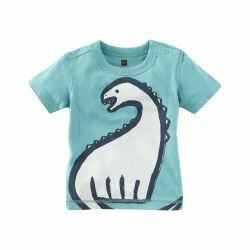 This shirt alone made us squeal, and there’s a delightful array of rompers to choose from, as well: we love the quirky Pocket Monster Romper for boys (a pet monster for your favorite little monster?) and the Mikko FloralRomper for girls: perfect for cuddles (and practicing that crawling) all season long. Not that we would ever rush your summer (we hope it's turning out to be long, peaceful, and refreshing), but JUST in case you had back to school shopping on the mind, let us assure you - this year, with Fresh Finland, it's nothing to dread; just the opposite, in fact! We'll see you soon!